A Welsh girl in Australia: I'm too young to look that old! I'm too young to look that old! I recently had to take a trip to the post office for the dreaded passport photo. 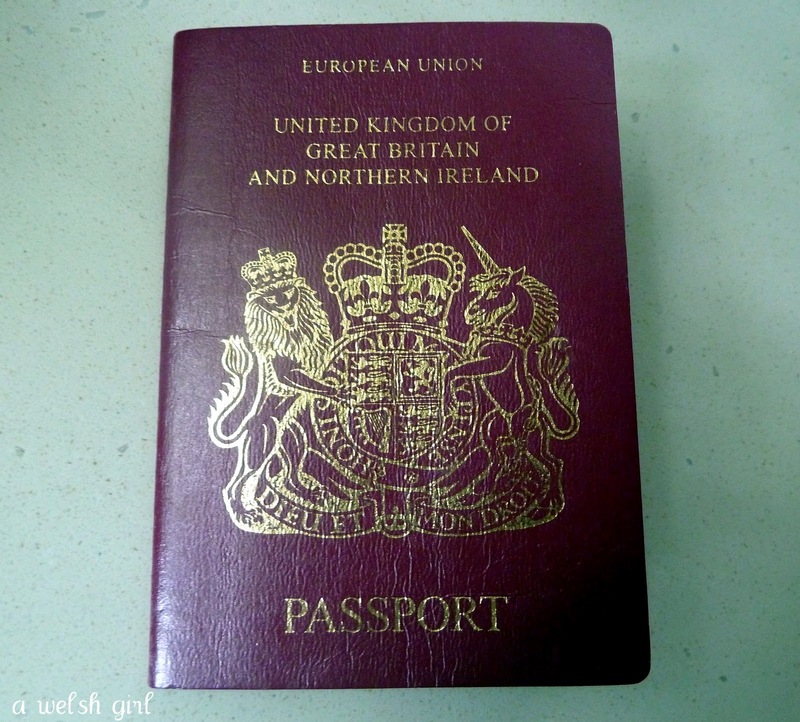 "You're not supposed to like your passport photo" said the lovely photographer as I groaned. "But I bet you'll like it in 10 years time" she added with a chuckle! Sometimes it seems like a lifetime ago that I was sitting in the tiny photo booth in my local Tesco supermarket waiting for the machine to throw out those four little photos for my last passport that would allow me to go to Spain on a last minute holiday. I look...well...ten years younger! I remember the very short hair style, the blond (!) highlights, the subsequent holiday in the Spanish mountains where it took us a few days to find out that about the terrorist attacks that had taken place in the USA. The big hair and earrings and crease free face. I remember the carefree days of being a student. The photo booth in Swansea market that would take the photos for the passport that would take me backpacking with two good friends. Now I wonder what I'll remember about this year's passport photo in another 10 years? When did life speed past so quickly? to the one that looks back at me from today's mirror? for I don't know what will greet me when I look at the next one!! I am just about to renew mine too..time speeds by and I think you're right, who knows how we'll look in another ten years! Beth I think it fair to say I've never liked any of my passport photos. Ever! Newydd ddarganfod y pasbort cyntaf ges i pan o'n i'n 16. 27 mlynedd wedi gadael eu hôl, heb amheuaeth. Ond faswn i ddim yn dymuno bod yn 16 eto am aur y byd. Taset ti'n cynnig bod yn 25, yna falle y byddwn i'n ystyred... Ac eto, erbyn meddwl, na. Rwy'n hoffi bod yn 43, ac mae gen i wyneb sy'n stori fer o grychau. Good final point! I actually liked my most recent Passport photo, but the two before that were hideous. I looked stoned in my second to last, and I don't even smoke pot. :) I love the idea of counting the stages of your life by what you were doing when you got your passport photos. For me, it was a) traveling with my parents b) studying abroad c) hoping to get a chance to travel internationally soon/taking a work trip to Canada. 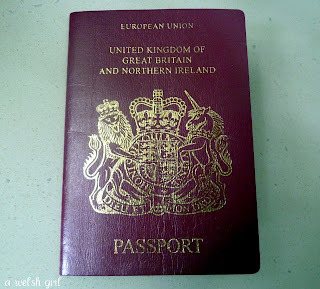 I never manage to hold on to a passport for ten years! I've had one lost passport, one defaced passport (coffee stain not subversive political gesture! ), and one stolen passport. The only benefit is not having to do contemplate how much you've aged in 10 years! !